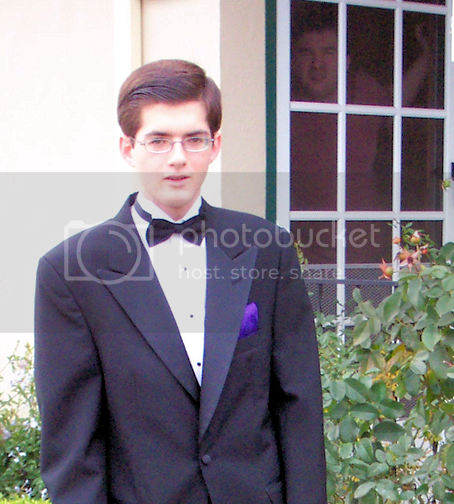 I thought I took a photo of Matthew before the limousine came to pick him up for his first homecoming. I didn’t realize until several hours later that I had actually snapped a picture of my two boys, one of whom was being a total stinker. LOL, that’s hilarious. Nice photo. Oh, yes, I see your other soon lurking behind. 🙂 Funny take this week. Thanks for sharing. LOL–I wonder if he realized his picture was being taken? Great shot!! 😀 Haha! Maybe he thought he won’t be seen in the picture. But it got creepy for a while thinking it’s some ghostly image on the background. hahaha… boys will be boys huh? Now that is what you call, trick photography, and you don’t even know you did it until you get the results back. Great job.